It happens during even the most successful weight loss plans- the trepidation plateau. 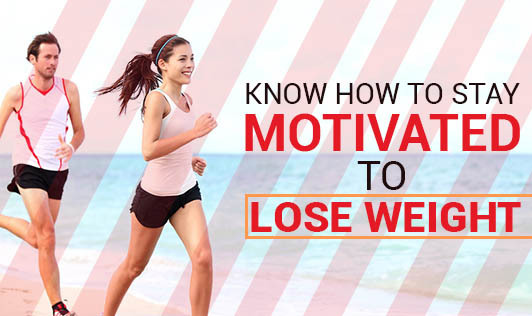 Whether it's losing motivation to exercise or eating healthy, it's important to fail-proof your weight loss progress by setting safeguards in place that help you stay motivated, even when you want to give up. • Think wellness, not weight loss because making good food choices only when you're trying to lose weight could lead to a rebound weight gain once you've reached your goal. • Set reasonable goals that will help you get to your overall large goal thus focusing on small changes. • Choose one or two new healthy habits to take on- not 10 or 20. • Avoid situations and people that might tempt you to ditch your diet resolution. • Read some good motivating quotes that can distract you from thinking about your cravings. • Don't let one setback keep you from working towards your goal. So, in case you've had a slice of cake at a party, accept it, embrace it and move on. It's important for you to know how to cope when you make a mistake. • Visualise the outcome of your weight loss. Pictures and affirmations can help remind you of why you want to lose weight. • Make physical activity a part of your daily routine. • Use your buddy system and encourage your friends and family to be a part of the program. • Reward your righteousness by finding a reward that inspires you; such as a new workout outfit or a new pair of sneakers, you'll be surprised that a pat-on-the-back goes a long way towards helping you stay motivated. • Manage stress and you'll soon realise that your exercise and diet regimen aren't sabotaged anymore. "Keep in mind that your weight loss journey is about the transformation of the body, mind and spirit. Addressing all of these will help you stay motivated!"